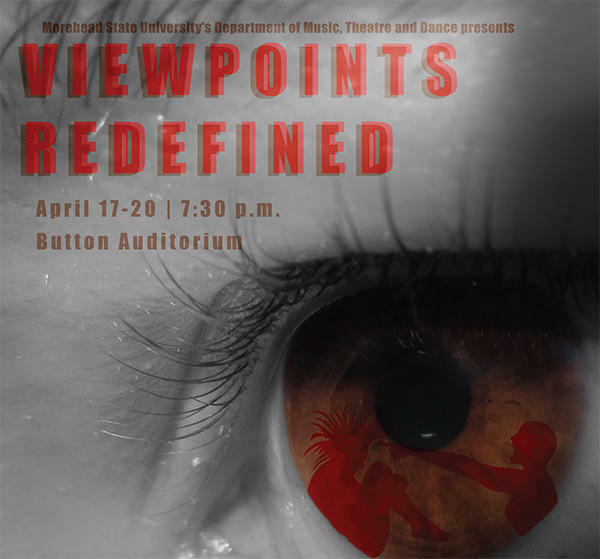 “Viewpoints Redefined” will be an evening of complex, intense, yet exquisitely orchestrated pieces of new choreographic works by guest artists that include Monique Haley and Carrie Brueck Morris, MSU faculty and students. Natasha Davis, associate professor of dance and the show’s principal choreographer, said the concert came together when she and MSU Dance students began discussing issues that personally affected them, whether it was molestation, gun violence, racism or bullying, to name a few. “This is one of the most collaborative (dance concerts) because I think this is the most vocal my students have been with me,” Davis said. After taking down notes from those conversations, Davis would then review it, run it by her guest artists/choreographers and begin creating movement and finding music that fit the topic for each of the show’s performance pieces. She said the concert’s nine pieces will not only be a team effort between dancers and members of MSU’s theatre and music programs, it will showcase students using their gifts to express issues that resonate with them.